We are very pleased to announce our development is back on track and that the IMC platform is ready for a public beta release! In order to get honest feedback of our users the system makes use of a calculated review system. This way both client- & business users can share their experiences based on collaboration. In order to make the platform working as smooth as possible we decided to work with frame sessions. 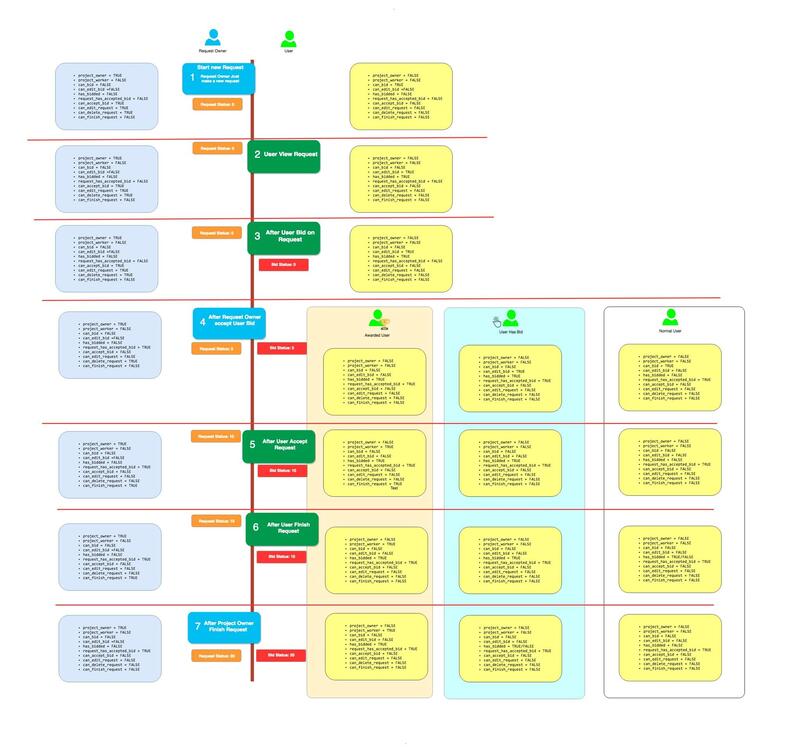 When a user logs in the system auto generates a user session and writes the data to file (redis in this case) The advantage is that the framework reads the session from files but all data is still stored in the SQL, this provides a far better user experience. Each user will receive notifications on their use in the platform like a succesfully placed request/bid, reactions on bids etc. 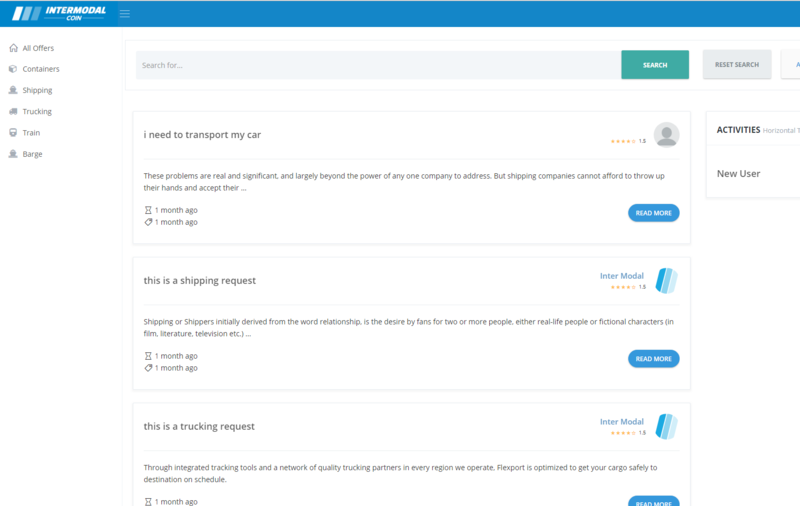 All users will have a personal overview page with information regarding their use on the platform (outstanding and completed requests/bids, rating score etc). Platform development is still up and it is getting more complete by the day. And last but not least, our beloved community member @crashbdx has delivered great work by making the IMC website fully responsive. Finally anyone who wants to use the website on their mobile/tablet will see the website as it is supposed to be. 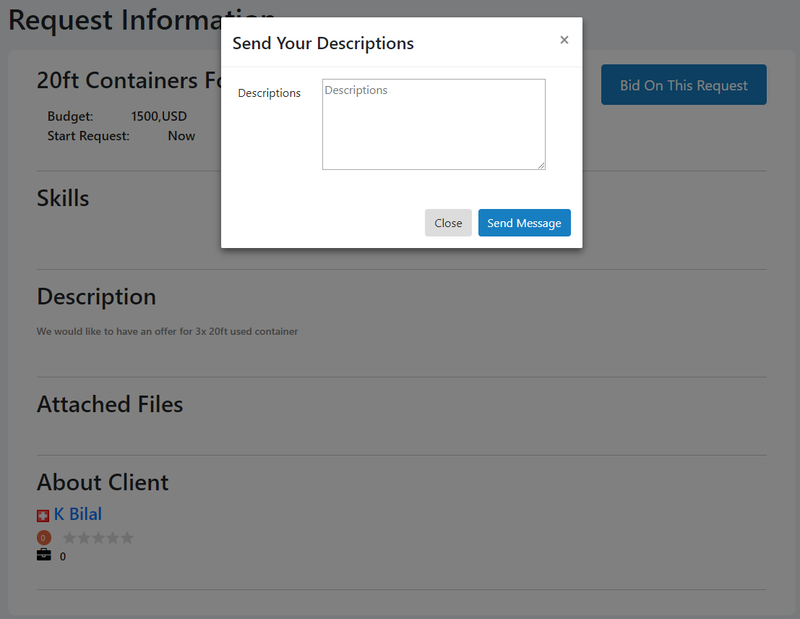 We finished function parts in mostly request and bidding part to make requests/bidding more complete. We also refined underlaying coding; json string database and edit functions converting and searching in json string. 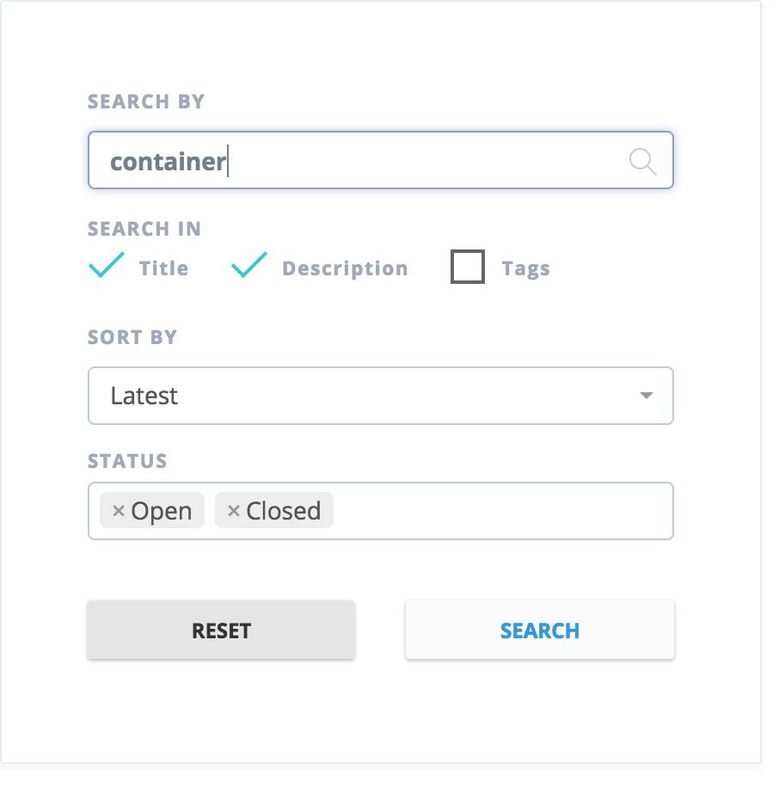 We added the date range picker upon the request/bidding part and added location option (will be completed by an auto-location button and will be implemented in the search function/filter). Location data is now coming directly from database concerning other languages in the future. 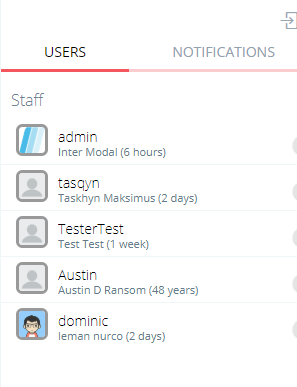 The current IMC website has not been responsive up until now, our beloved community members are here! Members have offered help in order to get the website responsive, a big cheers for our helpfull, enthousiastic and long time supporters of our project! Website files have been sent over and are being looked at, it will be adapted and customized so we have a good look/view on all devices and browsers. We are glad to bring some good news to the table! 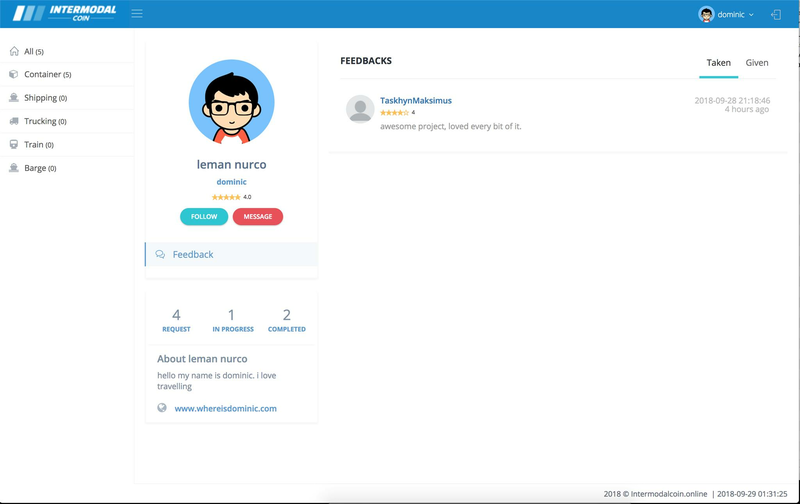 Our development team has been working hard on the demo platform for quite some time now, the development of the platform started out with a laravel framework which did not suit our future plans of expanding the platform once the demo would be released. 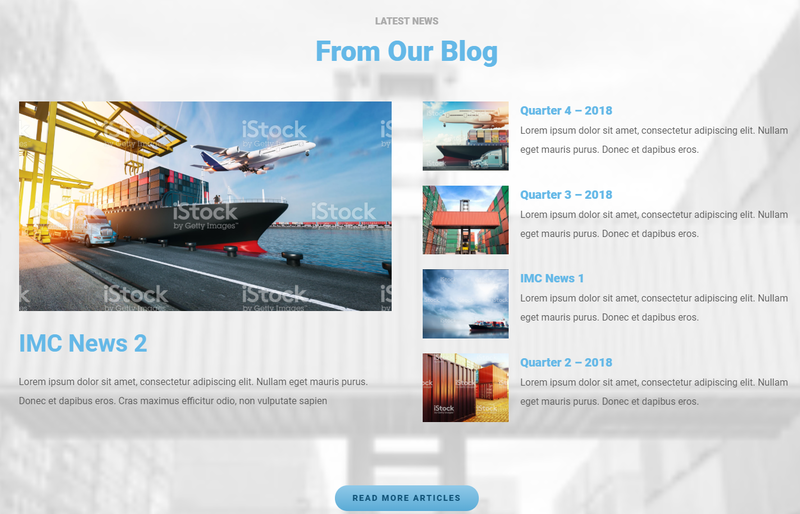 In order to have smooth development in the future the new system is using Ajax for its backend functions, bootstrap 3 css and the platform will be responsive for mobile use. The new system will also make use of a csrf token system and a module system to separate client- and business users for security purposes. We're content with the positive side of rewriting the backend to a more expandable, more secure and stable framework. 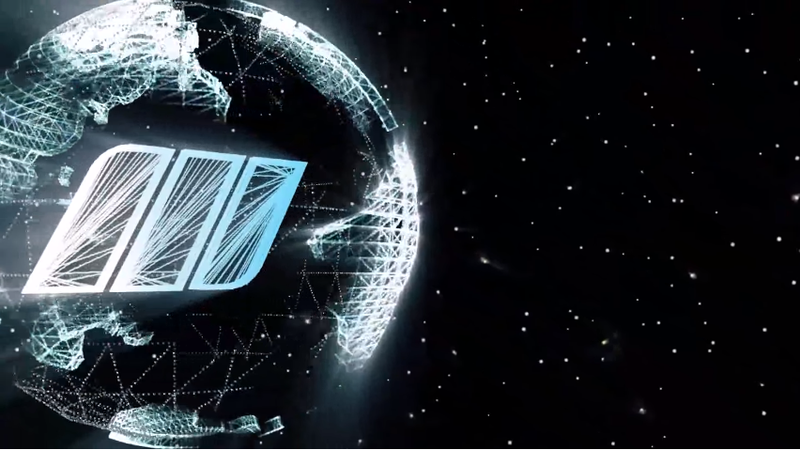 The IMC team will create a video on how the platform works in general which will be released the upcoming week. 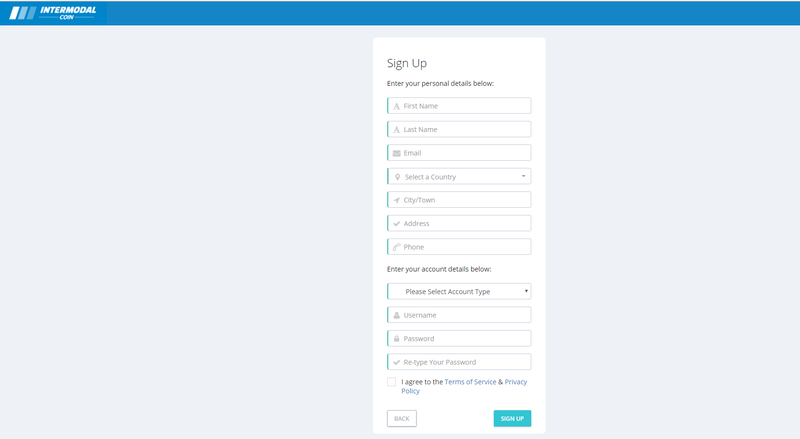 To provide a showcase a few more steps will be needed to grant users limited access and permissions regarding the use of the platform while it is still under development. 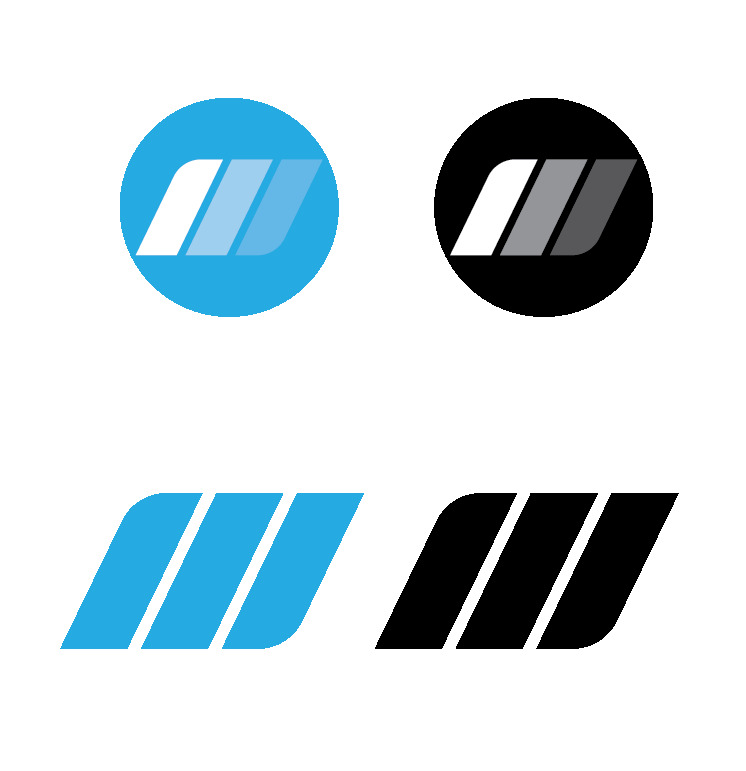 Below you will be able to see the overall progress and what we are working towards at the moment. 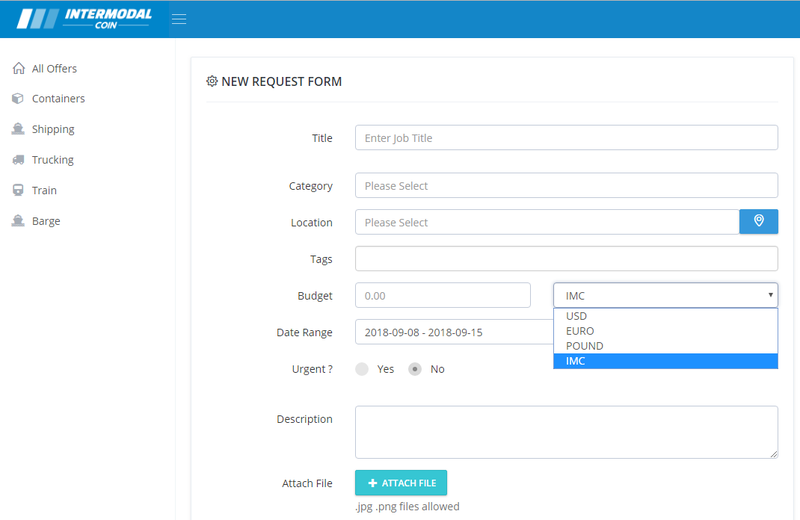 - Create a new request part is fully functional for client & business users including project budget, start date and location a.o. 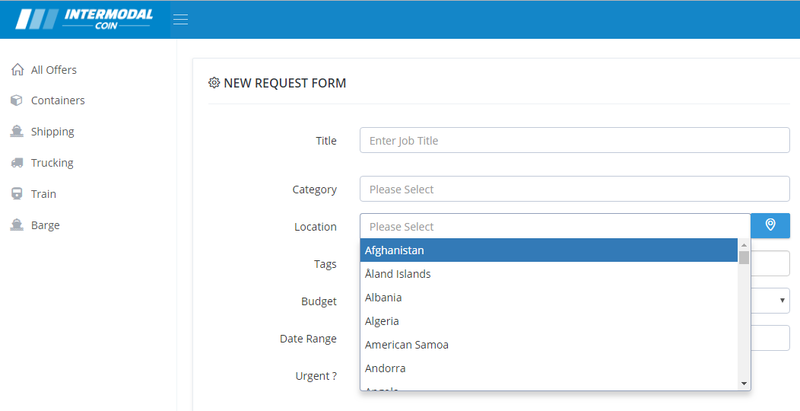 In the upcoming week the same functions will be written in order to let business users add their services including an overview page and category filter as well. 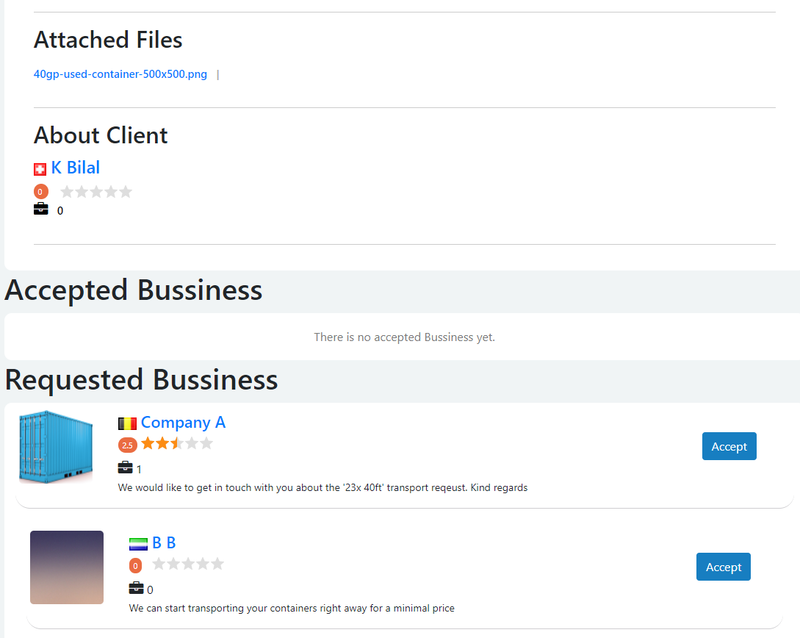 - Business users can make use of a bidding system. 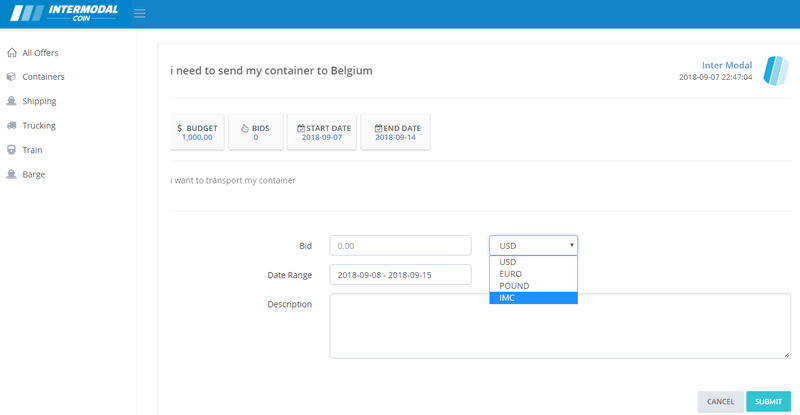 Users can send a bid directly upon the request, outstanding bids will be shown in an overview and client users will be notified of a new bidding. Once a request is accepted by a client the bid status will automatically change from 'pending' to 'approved'. At first we want the 'add request' part to be fully done, for example starting/end date (date range picker) & location need to be added. 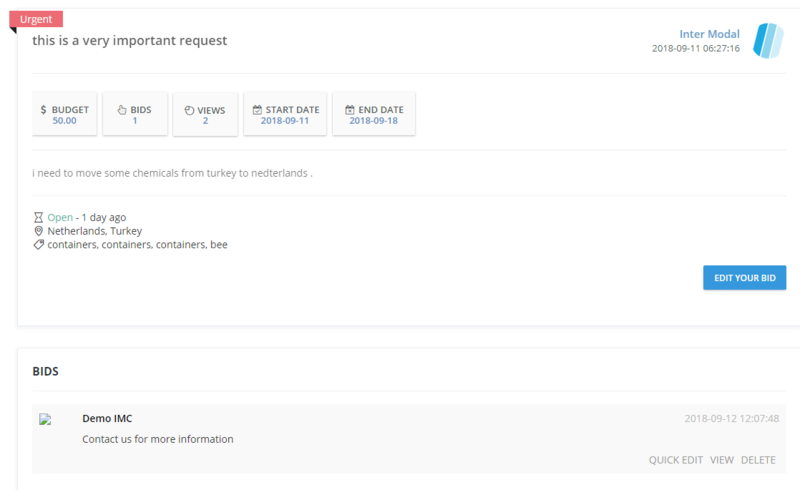 As soon as the request part is finished the backend of the bidding system will be built. We are planning to spotlight the progress of the development more in the upcoming weeks! The progression of implemented features will be shared more with our community through small updates on our website and social media. The arrival of the new website is getting closer, with great work of our community members Jack & Jill Fleek who have been working around the clock to make the new site happen. All main pages have been designed and are functional, the team is now working on the last parts that will be implemented in the website but details and small functionalities still need to be addressed. A new graphic roadmap is being developed at the moment, the roadmap goals will not be changed as IMC has a clear vision for the future. The new blog part for the website will be made more attractive and with better overview and details. 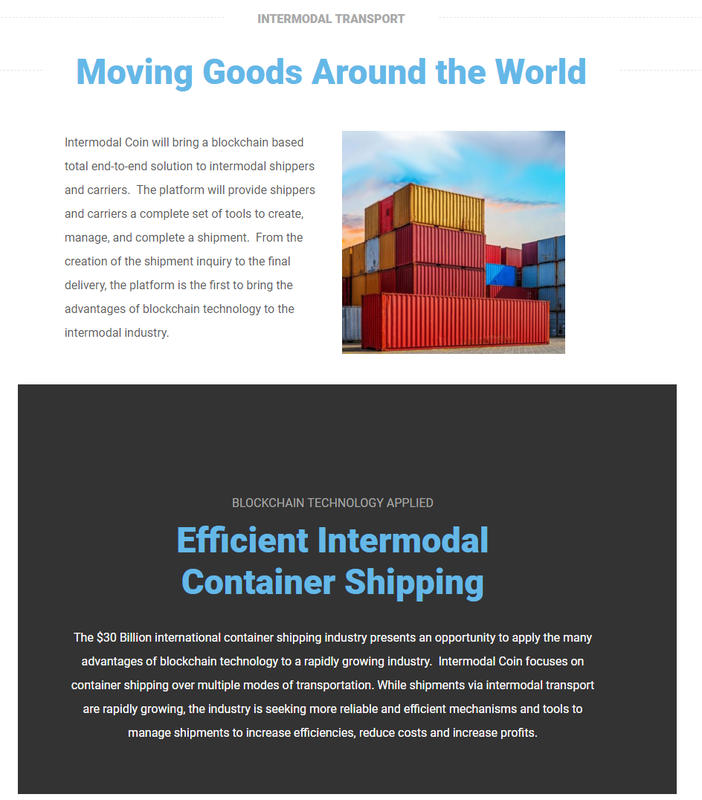 IMC will keep posting the latest updates and news for concerning the Intermodal Coin project. 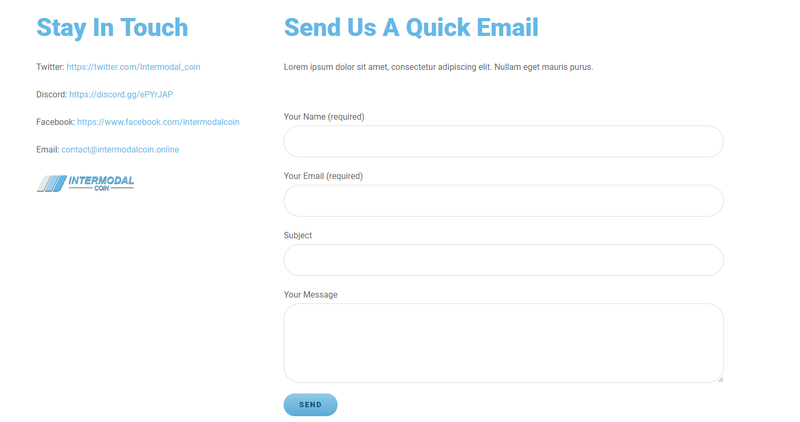 It will be possible to sign up through the website for receiving the latest news updates about the project also the contact form allows visitors to contact IMC. After finishing all details, functions and adding of the main content the website will need a final review and the announcement of the release will be made. Mycryptostats is a crypto currency portfolio and miner monitoring tool where you can easily view your crypto portfolio, coin prices, balances and mining/masternode activities. 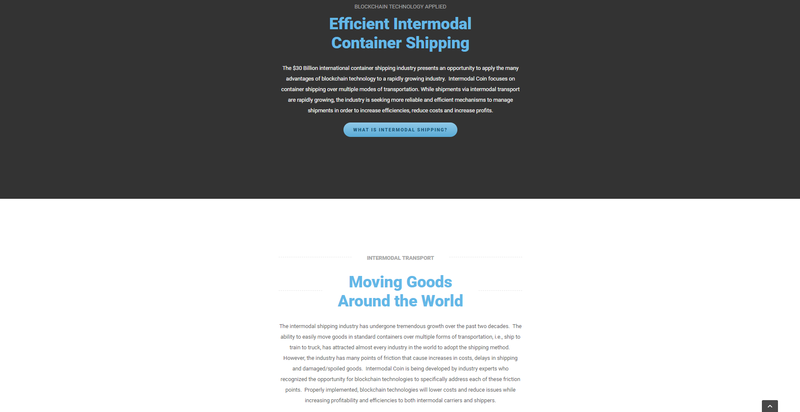 The new website for Intermodal Coin is starting to take shape. First content and design has been written, upcoming week the team will discuss the future plan for the website and which features will be integrated. There has been a small delay because of the responsiveness of the website which is solved by now which means the new website will be ready for pc, tablet and mobile use. From here we will start editing the design to our likes and also start to implement the content which has been prepared for the website. Besides the recent updates of our Mac & Linux wallets including the new bootstrap we now have updated our wallet in order to solve the annoying high cpu usage of the wallet. Bitexbay is a newly founded exchange which is adding new coins on daily basis and is expanding their services rapidly. They will also start their promotion in the upcoming weeks to get more known and attract other projects. IMC will be added within the upcoming week, once we are listed trading IMC will be possible on BitexBay! The IMC Bracket Challenge has come to an end! Congratulations @gabipopescu and @kataklysm for winning the challenge and to all proud French people who are holding the worldcup now! 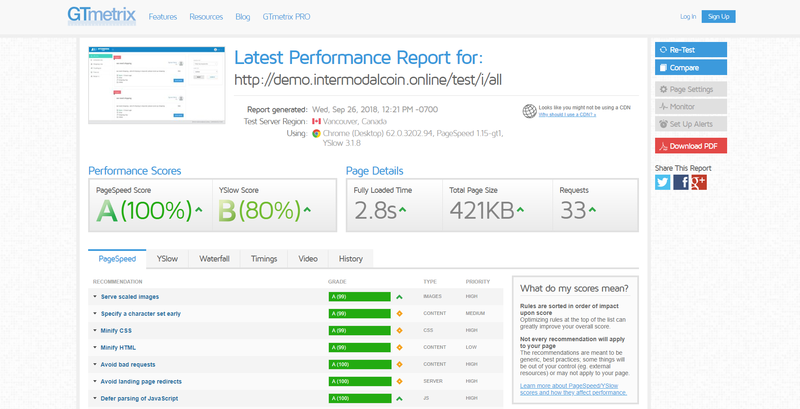 The IntermodalCoin team has recently started working on the development of the renewal of the intermodalcoin.online website. Our first progress is starting to show and the first designs have been made and currently we are in deliberation about graphics, features and content. Besides the new website we are working on new graphics for the IMC timeline. 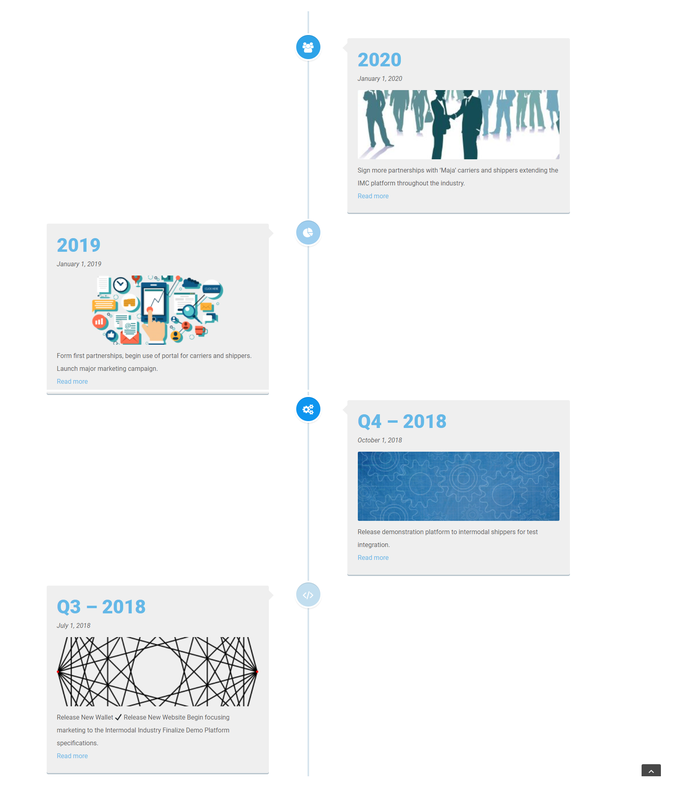 The design of the new timeline will show the progress of the project with very attractive graphical features. 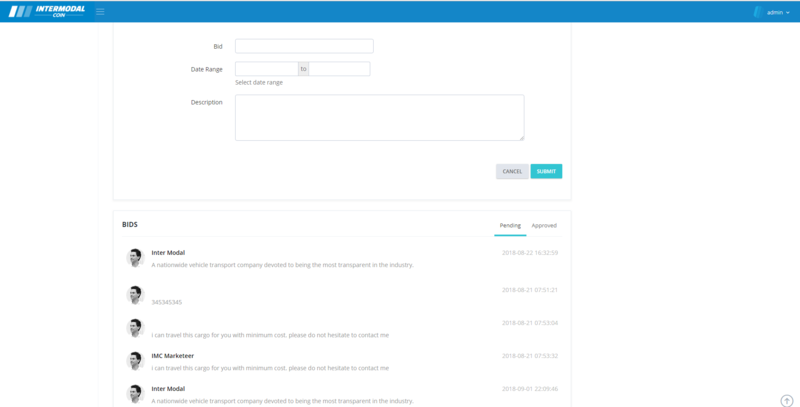 The platform development is also taking its course, most of the backend functions have been rewritten for a smooth flow of the system and responsiveness. 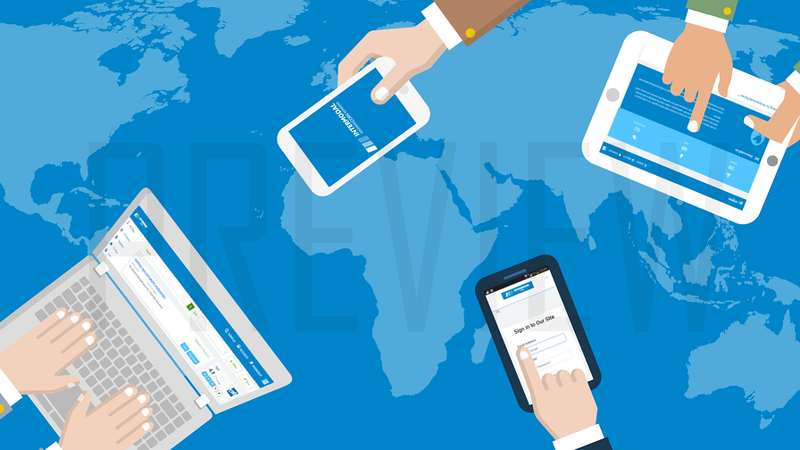 Review functions have been written and expanded for a clear overview for each user after collaboration. 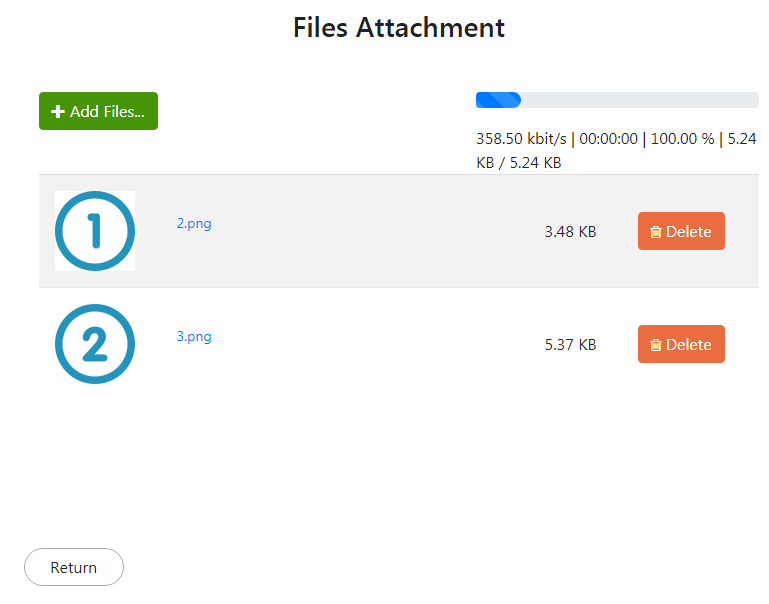 Our developers are also looking into a chat functionality for the platform as where users can have direct contact and file uploading between parties as well. In collaboration with community team members future plans are being worked out for decentralized database using IPFS and use case for IMC within the platform. We have great news on the wallet part of IMC, we have uploaded new wallets for Linux & Mac and a new bootstrap in order to sync the wallet faster on our official Github page. Our development for the IMC wallet made progress as well, the bug causing the high CPU usage is being tackled and will be solved with the new wallet update. We have been expanding our network and get more exposure for IntermodalCoin. We have started new collaboration with different parties and made several listings possible. Intermodal Coin has been listed on Mintnodes.com Mintnodes offers their users a service so you can track your own masternodes using their advanced masternode tools available and get accurately detailed statistics using their masternode investment comparison tool. 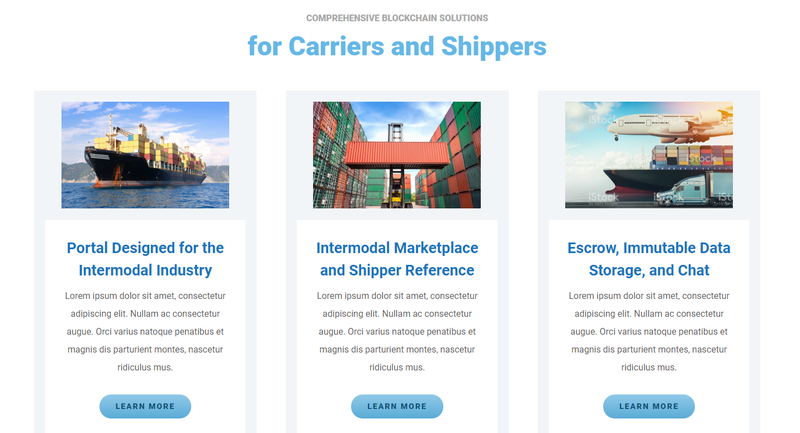 Besides Mintodes IMC was also listed on Intermodal Coin has been listed on AltcoinAnn.com , a website promoting new alt cryptocurrency. The platform shares technical information about the cryptocurrencies listed such as algorithm, reward structure and pool info but also social media information can be found on AltCoinAnn.com. 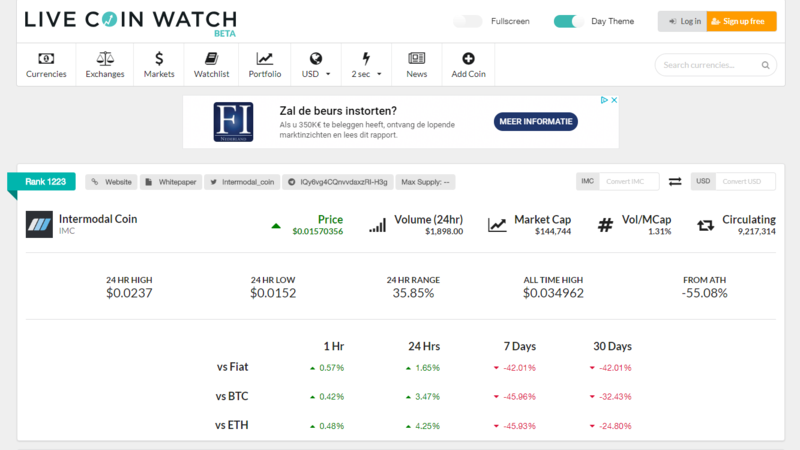 IMC is now also listed on LiveCoinWatch'The world first real-time crypto price index with graphs & historical data for 1500+ coins including Bitcoin, Ethereum, Intermodal Coin & other altcoins from major cryptocurrency exchanges. 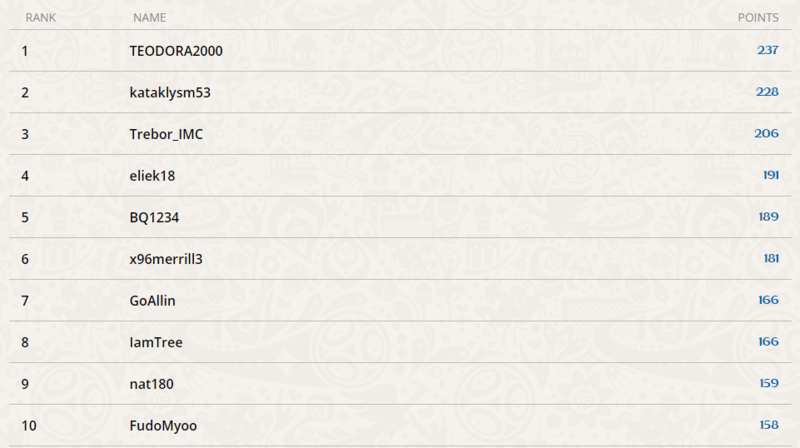 It shows all latest stats for IMC and also has the implemented feature to see all Twitter feeds and Github uploads. The @LiveCoinWatchBot was also added in the IMC Telegram group which allows community members to check Intermodal’s data straight from Telegram. The second IMC bounty program has come to an end. We've had a succesfull campaign and want to thanks are participants for their efforts in promoting intermodal coin. We've been able to raise the overall interest in IMC. This is backed by the fact that we've had an increase of volume on the exchange accompanied by a small but steady price increase. The IMC has FIFA 18 Worldcup bracket challenge has moved on to the knockout phase. Winner & runner-up will be rewarded with IMC prizes!! The last week we've made progress on several aspects, below are the latest updates and progression on IMC. Besides the continues work on the platform and wallet updates we will start with the exploration of setting up a renewal of the intermodalcoin.online website. The new website will have a different design/feel and currently we are looking at the general layout design of the website. As we are in a very early stage for the redesign we're always open for suggestions and ideas! To speed up the proces of the platform development we've strengthened our team we a very well experienced developer to work on the more complicated backend functions. 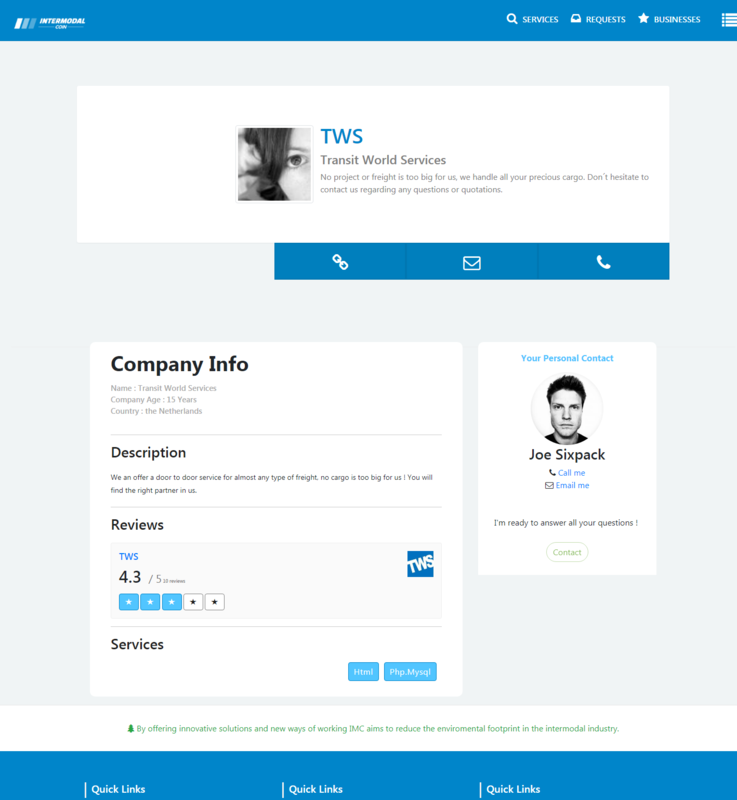 The basic functionalities are in an advanced stage just as the design of the platform there are some parts left that need attention such as profile page, job detail page a.o. for refining. 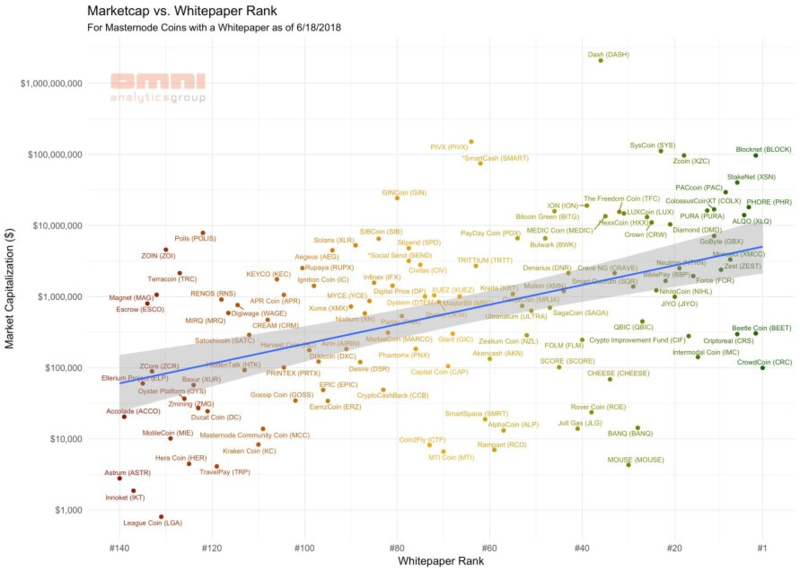 OmniAnalytics has analysed IntermodalCoins whitepaper amongst lots of other published whitepapers. OmniAnalytics is an incorporated group of technologists who help in analyzing and create data driven innovations. OmniAnalytics are using Flesch Kincaid grade level and unique word set within a document, among other stats, to automatically assess the quality of a #masternodes publication. According to OmniAnalytics there is a strong correlation between our score and MCAP. The Intermodal Coin whitepaper ended up in the top 20 which is something to be proud of! The new IMC bounty program has been active for over three weeks now and we are very satisfied about the enthusiasm and the number of participants. There is still one week left for the bounty and still room for more hunters so join and earn IMC! Though we have a side note which is important as we want all of our active participants to be rewarded for the work done! The IMC has FIFA 18 Worldcup bracket challenge is still on! As the pool phase is coming to an end and the Worldcup showed some suprising outcomes. Our development team is working on a new wallet update in which we want to tackle old and new bugs that have been found. 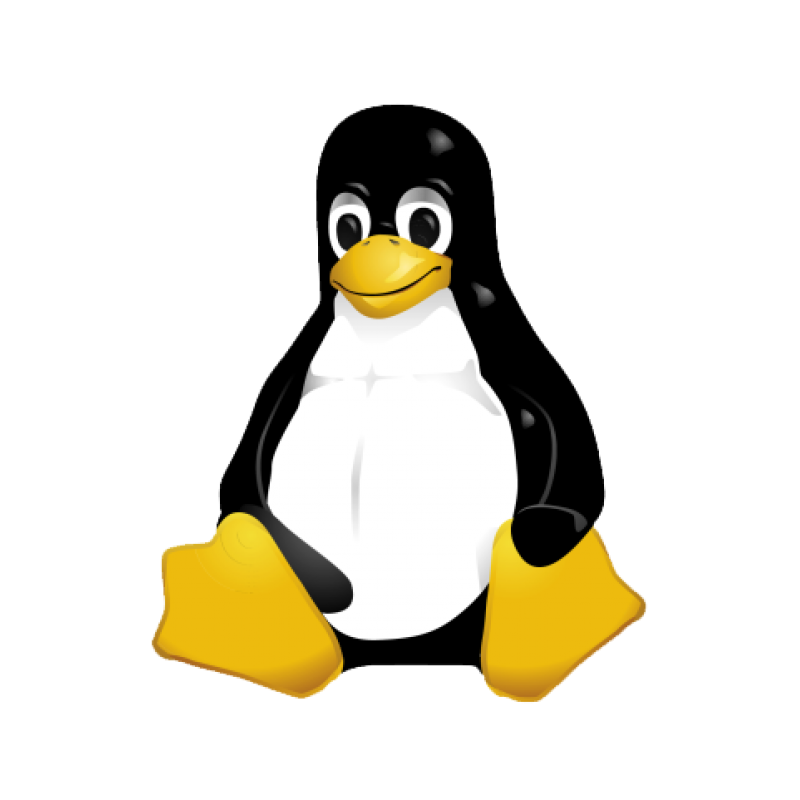 Besides the new 1.08 wallet update there's great news for Linux and Mac users, until now an IMC Linux- & Mac wallet were lacking but with great committance and help of @Trebor the new wallets will be tested and uploaded to the official IMC Github very soon. 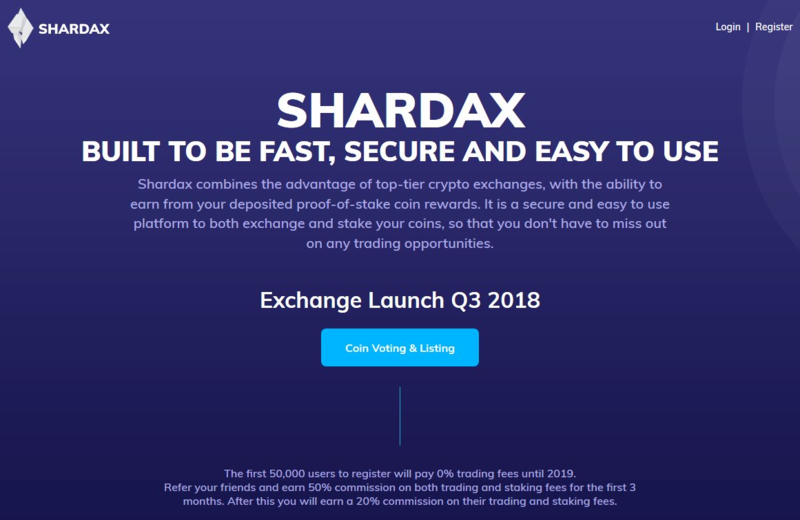 Intermodal Coin is participating in a free listing on Shardax Exchange, help IMC get listed and vote daily! At this point we are finalizing the last parts for the demo platform and are getting almost ready for the first release. We plan to keep developing and expanding the functions of the platform in the future as the basics will be done soon. Our marketing team is actively working on promoting IMC on press release level and our promo videos will be released this week as well. We also have some other fun news! IMC has setup a FIFA 18 Worldcup bracket challenge. It's very easy and fun to participate in the contest and win great IMC prices. 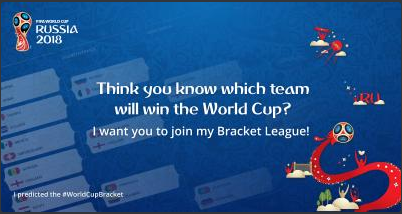 All you need to do is create an account and fill in your predictions for the FIFA 18 World Cup tournament. Our developers are also working on a new wallet update as when the last wallet update showed some bugs/errors. We will take our time to solve the existing issues as we have created a list for all known bugs such as the high cpu-usage for example. The known issues will be taken in consideration for the new wallet update. we already made great steps in terms of design some time before but on function level progress is also starting to show as well. Further we have much more very exciting news! IMC has been working on setting up a new marketing strategy as well for the past weeks and as the intermodal coin community is very valued it is also involved in the project. This way we managed to set up a highly motivated marketing team with great help of the IMC community members. - Set up a new bounty program consisting out of several attractive bounties and IMC give aways. The bounty program will start from June 6th and will last until June 27th. - Multiple promotion videos soon to be released! There has also been a radio interview by MasterNode Spotlight about IMC. During the interview one of our community members explains the goals and potential of IMC. All this great work couln't have been achieved without the outstanding help of the community members, a special shout out goes out to Taegus, Trebor, Jack- & JilLFleek, and many others in the community that helped over the passed few weeks. The past weeks we have been working on the design and UI of the IMC demo platform. Main templates and designs are as good as finished now. Below are some screenshots we posted on our Github server as a preview. 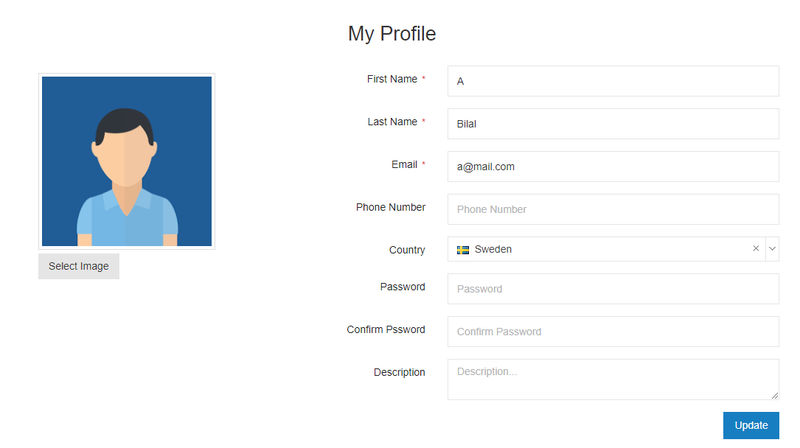 The upcoming week we will use to finish the design completely and getting the backend code as good as ready. 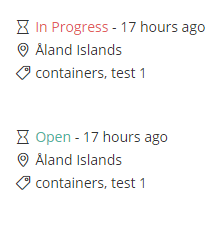 After releasing our 1.0.6 with the new v2 protocol about 2 weeks ago we encountered some small bugs. Our devs have been working hard to solve these bugs (like the wallet's high CPU usage for example) and making some other improvements. We plan to release the new 1.0.7 update end of this weekend / beginning next week. But there is more positive news ! Although we did not plan to use the demo platform "live" with real companies and clients already but more as an initial showcase, it's as good as functional and we have several companies interested to test it out and do the first deals over the IMC network. We are considering and discussing to cooperate with a limited group in order to test the platform and see what can be improved from the demo version. We believe by doing so it exposes IMC a little bit more, some real deals will be done and the most important we will receive feedback from real companies in this industry ! 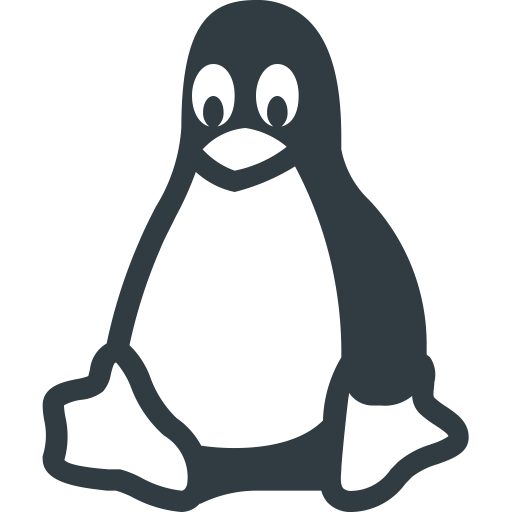 This week we have released our 1.0.6 IMC Wallet for Windows and Linux. The new 1.0.6 release contains fixes for multiple vulnerabilities found in the sourcecode, a new masternode reward system and a protocol upgrade from 1101 to 1102. (It also includes the final fix for payouts on larger pools). 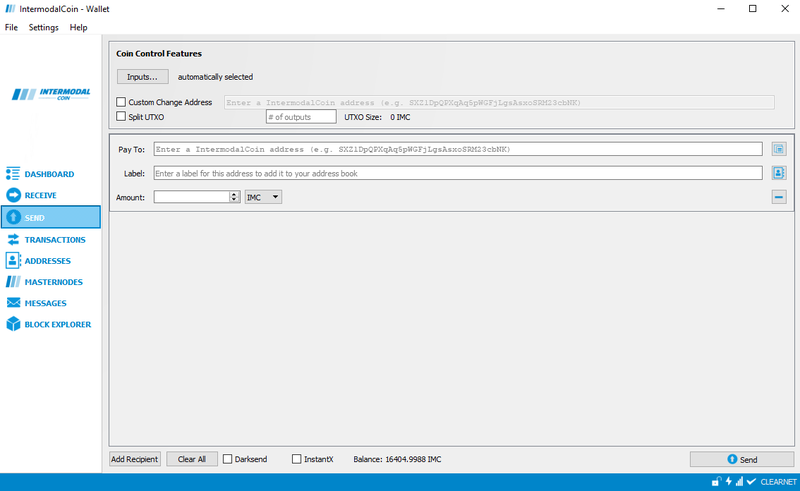 From block 150 000 on older wallets using a protocal version lower then 1102 will not be able to connect to the IMC blockchain anymore, we strongly advise you to update directly to 1.0.6. 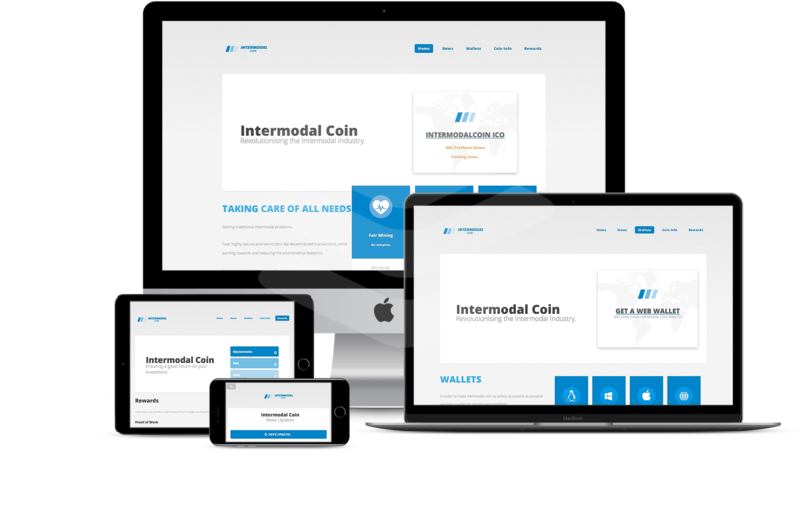 Finishing the last touches for the release of our 1.0.6 IMC Wallet next week, updated our website after ICO end and Exchange listing on CryptoBridge, Dev team started development of the IMC Platform where Intermodal businesses and clients can connect. We hope to be able to present you a demo shortly but before this we are planning a major wallet update (1.0.6) with a lot of fixes and improvements. This week, after our ICO ended, we are listed on CryptoBridge Exchange. Here at IMC we like to finish our roadmap as quicky as possible and this is another point tackled down, we are exactly on schedule and finished every promised point in time. ICO is about to finish, we updated our wallet to 1.0.5, it includes a fix for payouts on larger pools. We rushed this update out because we feared this problem in the 1.0.4 wallet could cause problems not even for pool payouts but possibily danger our exchange listing. 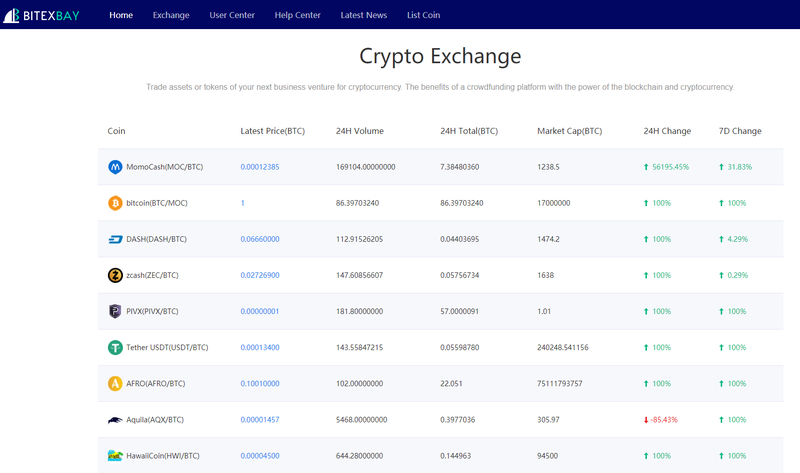 Next week we are probably going to be listed on CryptoBridge Exchange, this was the prefered exchange of our IMC community according to the poll we had. We love to update our community, be sure to check this update page once a week.